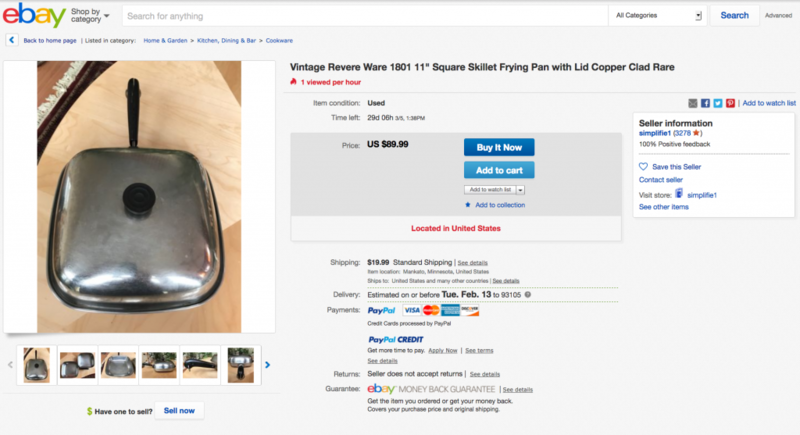 We wrote last week about tracking eBay searches to find rare Revere Ware related items or to get a good deal on something that typically sells for a lot. Our example was square skillets, which usually go for hundreds. This week one of our saved searches happened to find a great price on exactly that, a square skillet. That’s about half of what they typically list for.